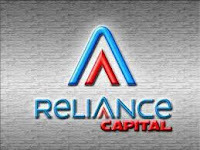 Reliance Capital Jobs 2017 in Mumbai – Walkin Drive 19th to 26th May 2017. Reliance is Recruiting Candidates for Telecalling, Telemarketing Executive Posts. Contenders who had completed Graduation can attend for this Reliance walkin drive. Applicants who are interested in doing work in Mumbai, they can apply for the Latest Walkins in Mumbai. Interested and eligible candidates can see the further details which are mentioned in the below section. Qualified contenders can attend for Reliance Recruitment drive which will be held in Mumbai from 19th to 26th May 2017. Candidates who are preparing to attend Reliance Recruitment 2017 can refer Reliance Placement Papers of Reliance and also Reliance Test Pattern which will give clarity for the applicants to prepare well and can improve their chance of getting selected in the Recruitment Process. We hope this page will give the sufficient information about Reliance Capital Jobs 2017. Sound knowledge of the market. Inbound and Outbound Vice Process. Margin collections for trade both online and through cheques/RTGS. Working on direct databases for activation, Ensuring after market confirmations to customers on voice recorders. Sound knowledge of Equity Market, Derivatives. Reliance Securities is a broking arm of Reliance Capital. It is one of India’s largest retail broking houses with over 7 lakh customers and a pan-India presence at more than 1700 locations. The company is a corporate member of both the Bombay Stock Exchange (BSE) and the National Stock Exchange (NSE) and provides access to equities, derivatives, IPO’s, mutual funds, bonds and corporate FDs. Interested aspirants can check the details about Reliance Recruitment 2017 which will be held in Mumbai from 19th to 26th May 2017. This page will give the clear information regarding Reliance Recruitment like Walkin Dates, Walkin Time and Venue. 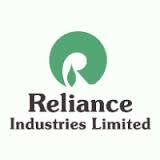 We hope the information provided about Reliance Recruitment is helpful for your job search. If this job doesn’t suit you then you can look for other Jobs in our Website. Keep visiting All India Jobs for more fresher Job Updates.